Brand new round rail fence. Ample float & vehicle parking. 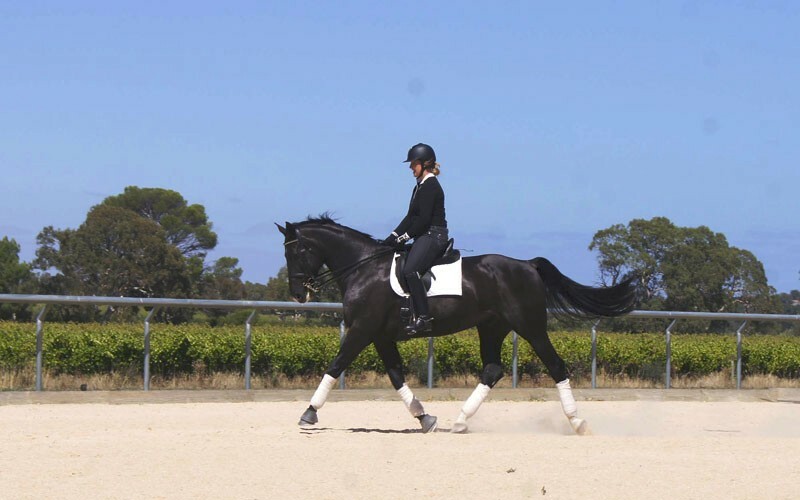 When consideration was given to the “ARENA MIX” surfaced Outdoor Arena it was decided to extend the boundaries as much as practical to offer a wider range of uses. Full size the Outdoor Arena measures 68M x 32M with full galvanized round railing at a riding deck height of 1350MM. 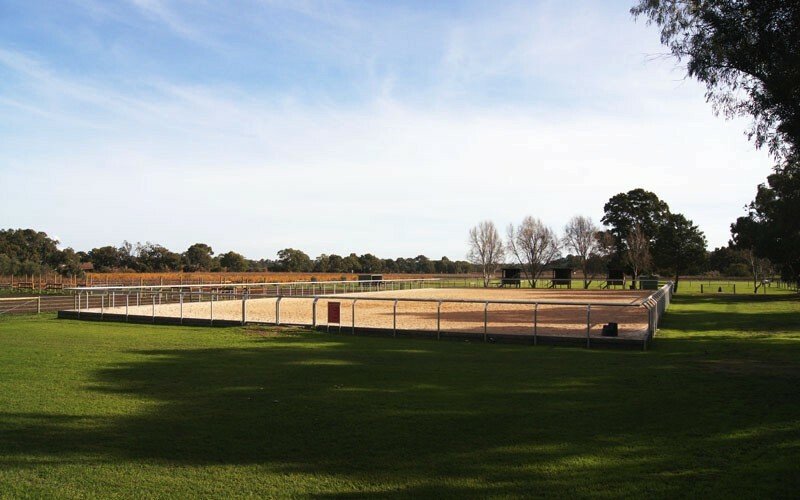 A portable PVC 60M x 20M Dressage arena fits centrally within these lines giving a minimum 4M perimeter border for presentation before formal eventing. There are three raised sheltered Judges Boxes for competition days which double as shaded viewing areas at the Western most end of this Arena. Irrigation has been restored to optimize the riding experience and reduce dust in the dryer months.